The line-in-the-sand for securing and managing mobile devices in government agencies and public sector offices has been drawn. 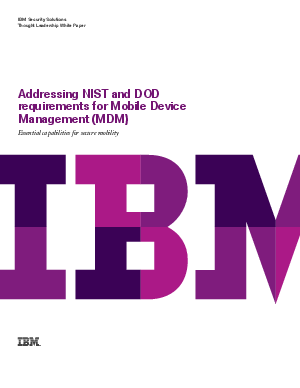 Now is the time to prepare for the guidelines set forth by the National Institute of Standards and Technology (NIST) and the Defense Information Systems Agency (DISA) by exploring the vulnerabilities of mobility and mitigation strategies for complete mobile control with Mobile Device Management. Data Communication & Storage: Encryption of data and the ability to wipe devices if that data is compromised. Applications: Blocking and monitoring apps that openly share data to cloud storage systems through white list and black list management.